Setting: Finishing up at the San Antonio Aviation Cadet Classification Center. Joe and I have been working in the gym every afternoon this week cleaning the mats and things that need it. This is cooler than being outside “picking up butts” in the hot Texas weather. 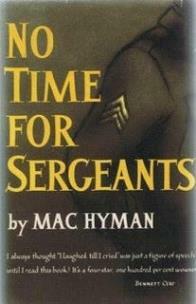 This morning I walked to the central message board and saw my Cordele, Ga., high school friend, Mac Hyman (later of “No Time for Sergeants” book fame), who I had not seen since basic training at Keesler Army Air Field. Mac looked upset and I asked him what was wrong. He said he didn’t get classified as a pilot but as a navigator and that he wanted to go into pilot training. I tried to console him. He will do well in navigator training. My name was not listed on the board. I’ve just got to be classified as a pilot trainee. In a few more days I should know. I feel bad for him! Good news for me today, Friday, I finally got it. At the end of a long week checking that central message bulletin board, I’m classified as a pilot trainee!! The P-40 is still in my future. My next stop will be crossing the highway into the Pilot Preflight School that separates the Classification Center from each other. We understand that a new class enters the first week of each month and that is only several weeks off. Most of my flight got chosen to be pilots, as they wanted. There were 3 navigators and 1 bombardier among my flight of 50 prospective cadets. They have already shipped out to their preflight school. Dan, who got airsick when his instructor did spins, has been sent to OCS to be trained as a ground duty officer. Pat, of the University of Tennessee 1943 Sugar Bowl team, was sent to take other non-flying AAF, and Roy of the same team has been medically discharged and is back at Knoxville playing football. The squadron orderly room had bad news for those of us on my end of the barracks. We all will have K.P. Monday, Tuesday and Wednesday of next week; so, good news then bad news. We’re not going to get out of K.P. for one last time. Once we get into Pre-Flight School and become an aviation cadet, there will be no more K.P. The sergeant said our end of the barracks didn’t pass his unannounced inspection. We all think they needed someone on Kitchen Patrol duty. We must clean up, mop up, etc., for the regular Saturday G.I. party and inspection. The San Antonio Sunday Light of San Antonio, Texas, on Sunday, September 19, 1943, said: “AXIS FALLS BACK 12 MILES IN ITALY.” Definite signs of enemy weakening and confusion became evident upon the battlefield of Italy Saturday. With the British Eight and British-American Fifth Armies forged into a unified striking instrument, German troops were driven 12 miles inland and were battered constantly by land, sea and air in their efforts to establish a new west-east line to delay the Allied northward push to Naples and Rome. Another headline from that paper stated: “ALLIES OPEN DRIVE ON BOUGAINVILLE.” A devastating Allied air flow at vital Jap airdromes on Bougainville island was announced today on the fury of General Douglas MacArthur’s offense to reclaim the South Pacific switched from New Guinea back to the Solomons. I found out Friday that I have been classified as a pilot trainee. Your son is on top of the world! In a few more weeks, I’ll cross that highway to Pilot Preflight School. Next week some of us have been assigned K.P. duty for several days. Yesterday’s inspection went all right for my flight. Give Norma a hug. Today, Wednesday, we finished the three days of K.P. duty. The K.P. pusher was constantly on us to scrub those pots and pans and make them cleaner. This was dirtier duty compared to working with the baker at Keesler. We had to have those garbage cans shining, too. He would have been harder on us if he had found out what happened to a sack of potatoes he told us to get peeled in the electric potato peeler. We dumped a large sack into the potato peeler and someone suggested that we take a smoking break. I don’t smoke, but I went along with the other three fellows. Well, we got to talking, almost forgetting about the potatoes. When we thought of them and rushed back into the kitchen, looking inside the smoking mechanical peeler, the potatoes were the size of marbles. What will we do? We were laughing so much, we were almost out of control. Quick thinking, though, got the burning residue thrown into the garbage can and a fresh sack of potatoes emptied into the peeler. 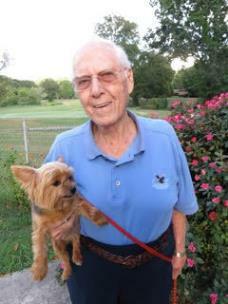 In this near disaster for me, Clarence, who has the guts of a burglar, took charge. If the K.P. pusher had seen what happened instead of going to Preflight School, the rest of our Army careers will be spent on K.P. in the Classification Center. Glad to be finished with this 3:30 a.m. to 8:30 p.m. K.P. duty. We’re keeping our end of the barracks clean and neat now, so that we don’t have to serve that duty again. We’re getting more “sack” time! Someone’s friend across the highway in Preflight School told him that the “G.I. Party” of Friday afternoon and Saturday morning before inspection is not done in Preflight but tough inspections regarding bed, shoe shines, dusting, sweeping floors, etc., makes up for it to be gigged with demerits. The usual “G.I. Party on Friday afternoon doesn’t get over until taps and lights out. I’ve gotten a blister or two from being on hands and knees with a bar of Octagon soap and stiff bristled brush. Upon drying out, the floor looks bleached. Going across the street can’t come soon enough! The Sunday San Antonio Light of San Antonio, Texas, on Sunday, September 26, 1943, stated: “REDS TAKE SMOLENSK, SMASH AT KIEV.” With one Russian army in Smolensk, Hitler’s former headquarters, Saturday night, other Soviet forces are smashing at the gates of Kiev, capital of the Ukraine, 310 miles to the south. “Crippled Fortress licks Nazi fighter pack with the .50-caliber machine guns, safely returned to the airfield in England with a badly damaged wing. The K.P. duty the first of the week is over and our section of the barracks have pledged to each other to keep it clean between the weekly G.I. Party and Saturday inspection. Latrine rumor says no G.I. Party at Preflight School. Other rumors have us moving across the highway into Prefight School this week. Everyone is anxious! As soon as I get a new address, I’ll let you know. Hope Norma is still making all A’s. She’s a good student. It is now Wednesday and we’ve been getting ready to cross the highway into Preflight School this Saturday afternoon. For several days we’ve been in and out of the supply warehouse. The supply sergeant said that earlier classes in the year were issued fancy blouses similar to commissioned officers; but our uniforms will continue being the same as we were issued at Keesler A.A.F. and we will use the same cadet insignias of brass U.S. and brass-crossed propeller pins that are silver plated, and wings on our lapels as we’ve been doing. Our rank of the round blue-clothed patch (some are black) with the crossed orange propeller and wings sewn on lower arm of right sleeve continues as it has been since C.T.D. We were issued additional brass and patches as needed. We received the garrison hat with the large version of the crossed propeller and wings. I lucked out by receiving one of the almost-out-of-stock original hats. When commissioned I can simply remove the dark blue silken braid band that covers the regular officer’s olive drab, if I desire to continue using it. The hat will be worn out by then, though. We were happy to be issued short, to-the-knees khaki trousers that will be part of our uniform of the day until November 1. They will be comfortable in this late summer heat. The pay for aviation cadets is $75 per month. Those with us who had received a non-commissioned rank before qualifying as a pilot trainee could remain as an aviation student drawing his enlisted rank plus flight pay; thus receiving more than the A/C pay of $75 per month. His insignias are the same as an aviation cadet and those few are part of the squadron and addressed as “Mister,” like the rest of us. They just get paid more. Glad they’re with us. We will have the only “Pass in Review” parade ceremony that we’ve had since we’ve been here and are getting ready. We must be polished and looking sharp for Saturday afternoon after the final inspection of the barracks. The San Antonio Aviation Cadet Center commander will say a few words of farewell to us and then we march over to the Preflight School directly from the parade ground. Saturday morning before the mid-morning inspection we are to load our two barracks bags, with everything we own in them, into Army trucks, which will drop them off at our new barracks across the highway. Our beds are to be torn down and mattresses folded double on the bunk with the used mattress cover and bed linens turned in at the orderly room. My heart is happy, yet with some sadness, at leaving the familiar Classification Center, and beginning a new phase of training at the tough 9 weeks of Preflight School across the highway at “The Hill” part of Kelly Army Air Field.